DIAsource Immunoassays, a BioVendor group company, has entered into a strategic agreement with ZenTech under which ZenTech will transfer its portfolio of radioimmunoassays (RIA) products to DIAsource, securing their continued production and sales. DIAsource ImmunoAssays SA, which develops, sells and distributes clinical diagnostics products, has acquired Viro-Immun Diagnostics GmbH, a developer and manufacturer of laboratory diagnostics for the medical diagnosis of infectious and autoimmune diseases. 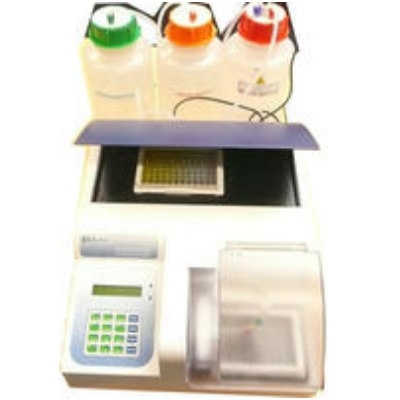 The DIA3000 is a versatile, reliable and fast ELISA plate washer that has a built-in incubator for two microtiter plates with programmable timer which allows the user to incubate immediately after dispensing sample/conjugate or substrates. An auto rinsing and cleaning program starts before shutting down the instrument or starting a new test to prevent crystallization and minimize cross contamination during washing.